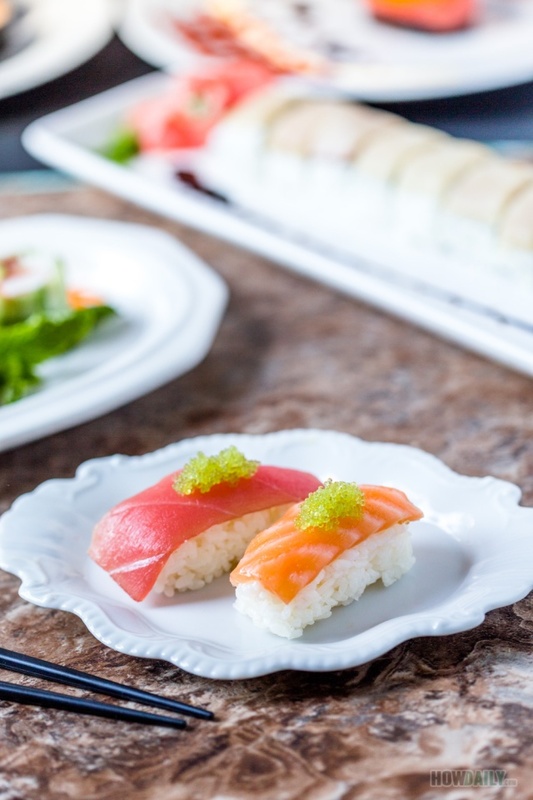 If you’re familiar with sushi and all the usual maki rolls, it’s time to take the next step with Nigiri. In fact, in Japan most common sushi order would contain nigiri. Chefs were trained for years just to learn the balance of making nigiri, from molding, forming and flavor pairing with topping. Just like maki, you can easily making nigiri at home, from fresh topping to simply what you have on hand. 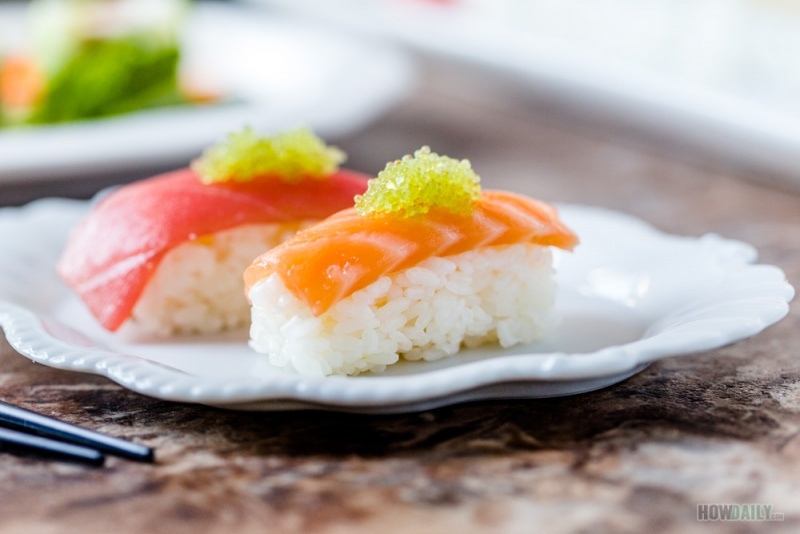 The rice for nigiri would be the same sushi rice that you would use for making maki. For toppings, they can be anything, from seafood like sweet shrimp, scallop, tuna, salmon… Then there are things like omelette, kani, or tofu pouch; basically anything work as sashimi will do. 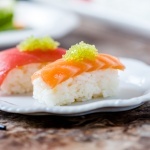 Typically when using fresh fish for nigiri toppings, chefs often dab a little bit of wasabi on theirs surfaces before applying onto rice oblong. For other toppings, this can be skip, however garnish like pickled ginger, plum, daikon…are recommend. If you’re not familiar or be confused about all of this, just start with pack of imitation crab/kani. Just make sure to choose the longer crab leg style. Some toppings like crab, kani, egg… are often tie to sushi rice by a small strip of seaweed. Simple instruction for making nigiri sushi at home. Prepare a small bowl of vinegar - water solution (1 Tbsp vinegar for 1 cup of water), use this to dip your hand. Slice your fish or topping of choice into 2 1/2 x 1 " thin rectangle. Pluck some cooked sushi rice, about 25g, have it in the middle of your left palm. Use your thumb to keep rice steady when applying pressure and mold sushi rice into oval/oblong shape. Dab a pea size of wasabi onto fish slice, then put the shaped rice on top. Gently squeeze your hand to fold them together.